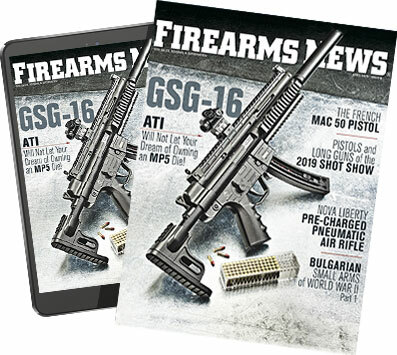 SIG SAUER, Inc. adds .243 Win. and .30-06 Springfield loads to its premium-grade, Elite Hunting ammunition line. These Copper Game rounds feature an all-copper bullet that delivers deep penetration and consistent 1.8x diameter expansion. The 80gr .243 Win. Copper Game round has a muzzle velocity of 3,425 fps and muzzle energy of 2,084 ft-lbs, making it an excellent load for hunting deer, antelope & coyotes. The 150gr .30-06 Springfield round has a muzzle velocity of 2,920 fps and muzzle energy of 2,841 ft-lbs and is an effective, hard-hitting round for hunting hogs, whitetail and mule deer. SIG Elite Hunting cartridges use premium, high-quality powders & primers for minimum velocity variation and maximum bullet expansion. Perfected for easy feeding, with an optimized nose geometry and nickel-plated casings, Elite Hunting rounds deliver reliable performance and long-range accuracy. 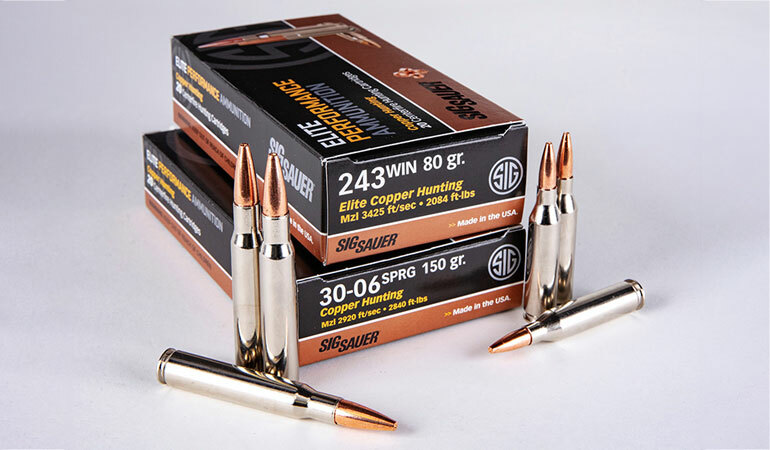 The SIG SAUER Elite Hunting Copper Game loads in 243 Win and 30-06 Springfield are now available for purchase at the sigsauer.com/store.